As the year draws to a close, we, inspired by what several friends do, want to briefly summarise what has kept us busy during 2015. 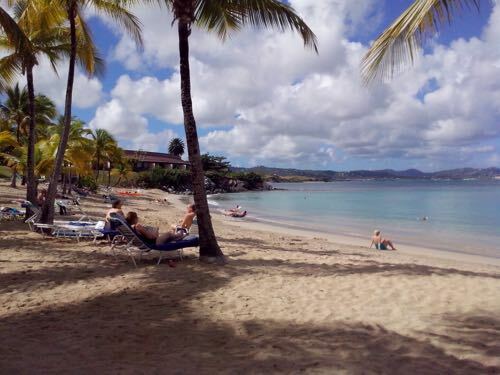 We started the year well by looking for the summer temperatures in Florida and on St Croix. On St. Croix, we visited our friend Marna. It was a first encounter with the Caribbean for both of us. It turned out to be an excellent choice! 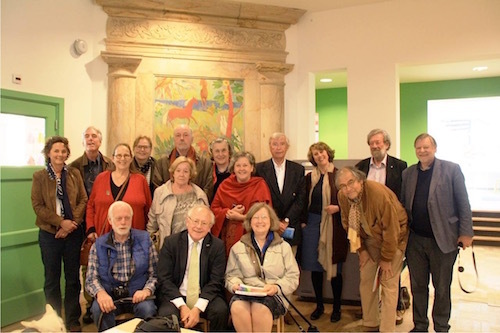 In April I (Ernst) went to a reunion of my primary school in The Hague. It was very special. Some of my classmates I hadn't seen since 1959. 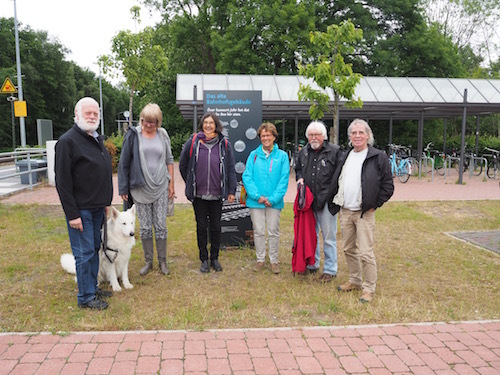 Immediately after the First of May celebration we drove, as always in recent years, to the DIY RV meeting in Bodenheim. This year we took the little camper. 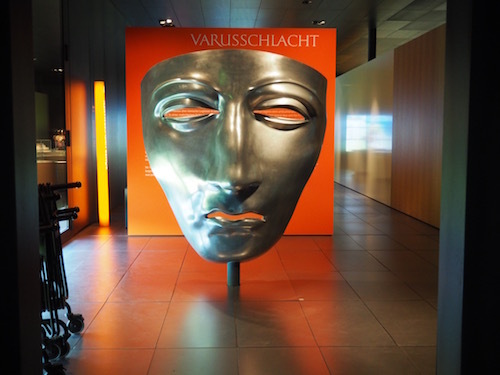 After that we saw some new places in Germany, like Wetzlar, Warendorf and the area where Arminius in the year 9 destroyed Varus's Roman legions. 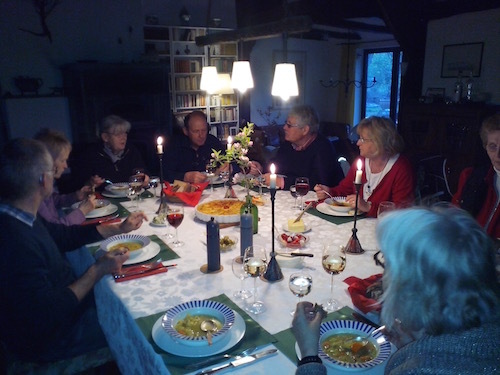 Around the longest day we had at our home a "micro-reunion" with five classmates from the The Hague grammar school. 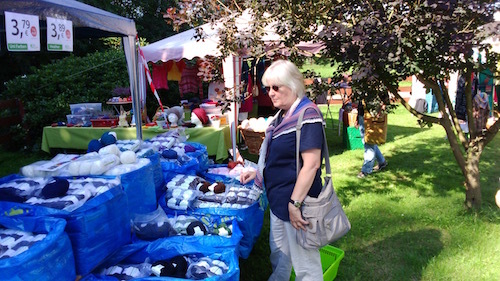 It was a very enjoyable weekend, in which we also visited the large flea market in Oldenburg. During our summer vacation we made a trip of two weeks through parts of the Netherlands, Belgium, Luxembourg, France and Germany. 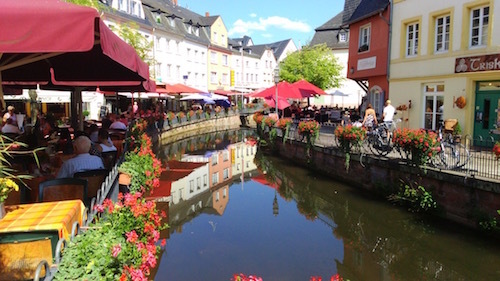 Some highlights were: our southernmost destination Thionville (where it was very hot), Saarburg, Bad Münstereifel and the motorhome parking at the Gorinchem marina with its lovely restaurant. 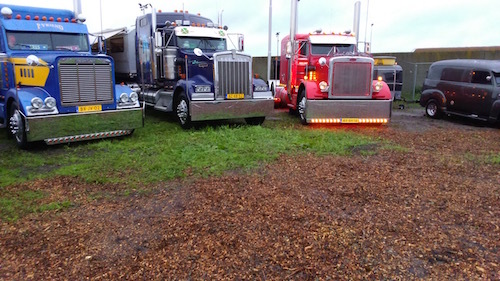 In September, we took a short trip to the Wool Festival in Sulingen, to Bückeburg, to the Caravan Salon in Düsseldorf and to the American Tukkerday in Vroomshoop. During our absence, we could rely on our house and/or dog sitters José, Igor and our neighbour Inge. Thanks! With a little effort I (Ernst) could extend my Dutch driving license again for five years. In the Netherlands, I was able to maintain the category D (buses), which would have been much more difficult in Germany. Sylvia extended her Dutch passport for 10 years through the municipality of Oldambt in Groningen. In spring Sylvia received her German citizenship, too. It was taken away from her father by the Nazi regime . On April 30, we helped neighbours, a few houses down, to plant the maypole. As always, the tree - with all its surrounding rituals - was just a cover for a feast of fun and food and drink. Much and tasty! After the meal it turned out the maypole was stolen by the neighbours. That, too, is one of the rituals. Two weeks later a wedding took place in the neighbourhood. Sylvia helped preparing the decorations. 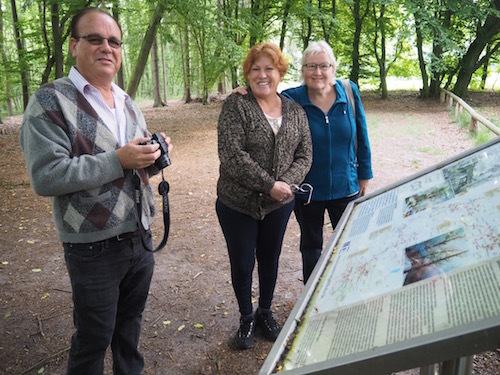 The Evangelical Academy and the Evangelical training institute in Rastede start a project for migrants and refugees, in which Sylvia participates. In two weekends the participants are trained to act as 'book in a living library'. Visitors can 'borrow a book' and discuss in a 20 minutes talk what it means to be a migrant. The first performance took place in June at the Kirchentag in Stuttgart. The documentary made by the Südwestfunk was broadcast nationwide. 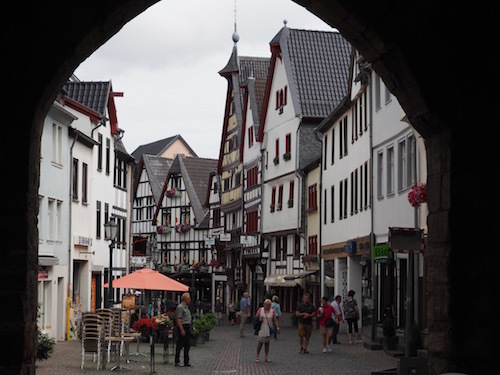 After that a grammar school in Oldenburg followed (in preparation for the Kristallnacht Commemoration) and a meeting of the Integration Council of Lower Saxony. 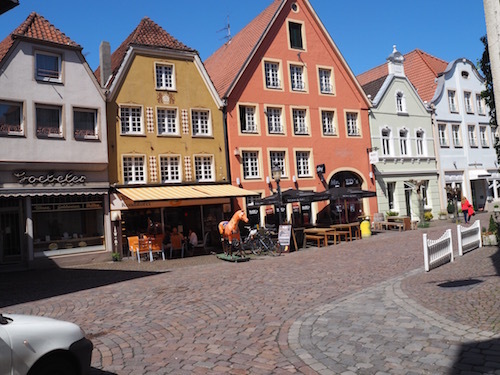 Because we felt like a day trip in August, we decided to have a look at Wilhelmshaven. 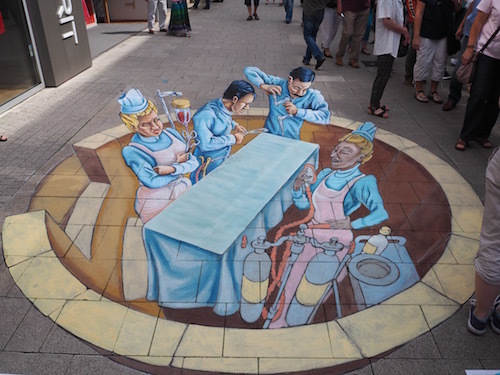 We were lucky: precisely this weekend, the Street Art Festival took place. 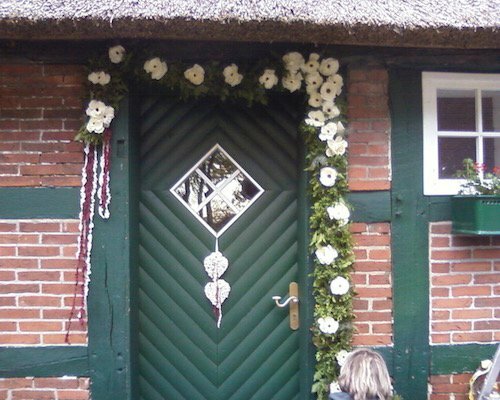 We celebrated the High Holidays in "our own" congregation in Oldenburg. Rosh Hashanah together and Yom Kippur one at a time, because of Motek. 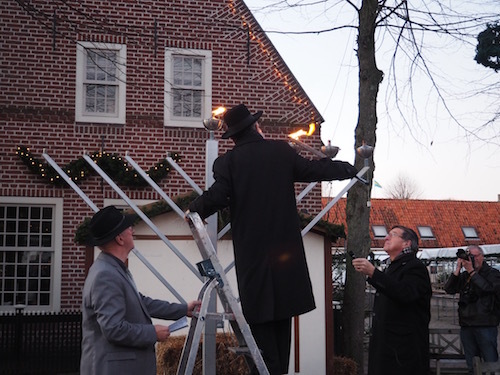 During Hanukkah candles were lit by and for us in different places: at home, in the synagogue in Oldenburg and in the market square of Bourtange (Netherlands). Ernst took part in the Kristallnacht commemoration at the Jewish cemetery of Wildeshausen and the next day Sylvia went to the corresponding memorial meeting in Oldenburg. 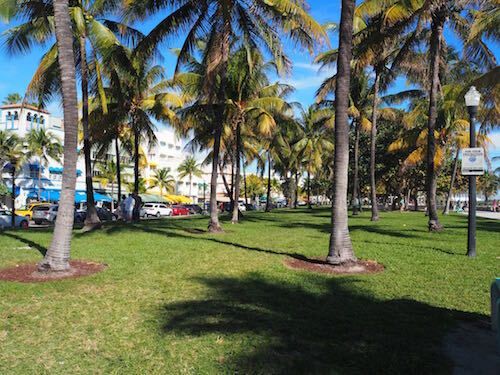 After returning from the US Virgin Islands Ernst fell ill with pneumonia, combined with a bronchitis, a sinus infection, an ear infection and two infected eyes. The necessary antibiotics put an end to all inflammations. Only the tinnitus remained. At the same time Sylvia had a firm flu with back pain. When the pain continued, she had physiotherapy and chiropractic help. The pain has become less, but didn't disappear completely. Halfway through the year I (Ernst) all of a sudden had a severe stomach pain. The visiting GP decided emergency admission to a hospital was necessary. There, they found in four days of tests that there were inflammations in esophagus, stomach and duodenum. The prescribed medication worked so well that at the next esophagogastroduodenoscopy, three months later, no abnormalities were found. In November, the ENT surgeon once again tried to give Ernst's nose a freer air passage. The degree of success remains to be seen. The same ENT physician decided it was high time that Ernst started to use electronic hearing aids. Since then regular trips to the hearing care professional in Oldenburg are planned. It seems that we come close to the optimal setting of the devices. In summary we can say that we are pleased that our medical problems are what they are, especially when we see around us what can happen as well. In February, Sylvia's cousin Gerd died suddenly. 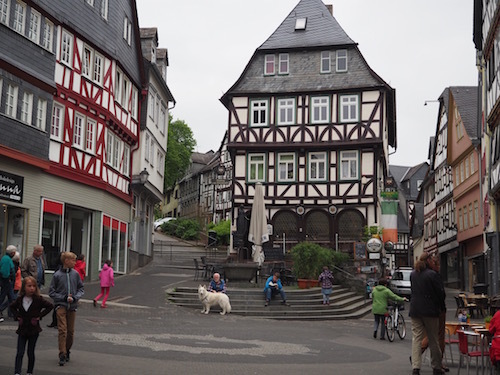 In March we attended a memorial in his residential town of Kronberg im Taunus. In late April we were present in Utrecht when Judith got her PhD. 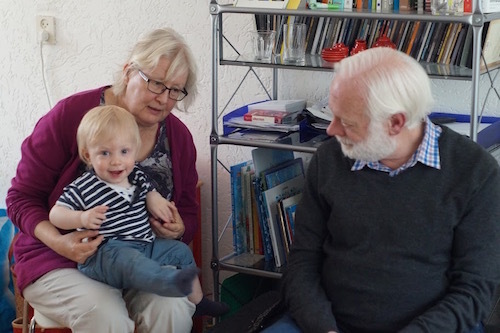 In May we travelled to Kineret who has bought a house in Friesland and then to Utrecht for Abe's first birthday. 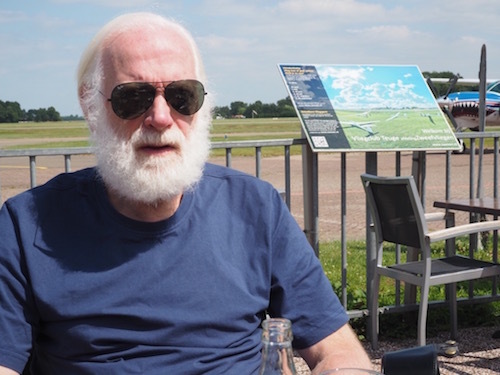 During our summer holiday we first saw Judith and her family on Teuge airfield and then Eva in a Utrecht restaurant. Sara celebrated her fourth birthday in September. 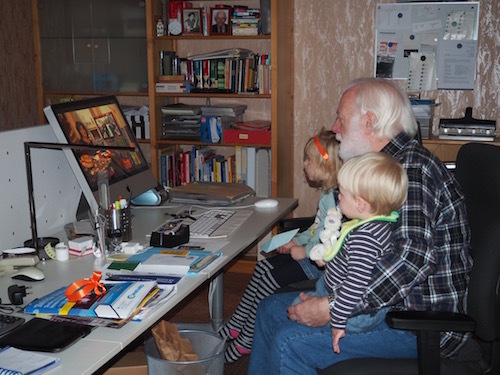 On Ernst's birthday Eva, Marcel, Judith, Sara and Abe visited us. December meant a second move within a year for Judith. Ernst and Eva (who was on a weekend visit) brought back the stuff which Judith and Marcel had stored in our Partyraum earlier this year with the small camper van. Our white one had to be without us twice, while we were in Florida and the Virgin Islands and during Rosh Hashanah. On both occasions José kept him company. But however well he is cared for, his enthusiasm when he sees us again, knows no bounds. 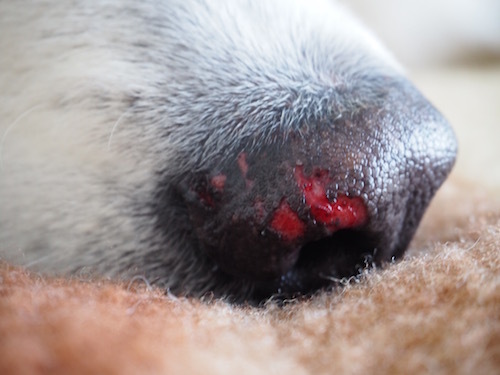 During a visit to a fair in Wardenburg Motek was bitten in his nose by a small dog. He was bleeding like a stuck pig. The owner of the dog turned out to be a famous local DJ. 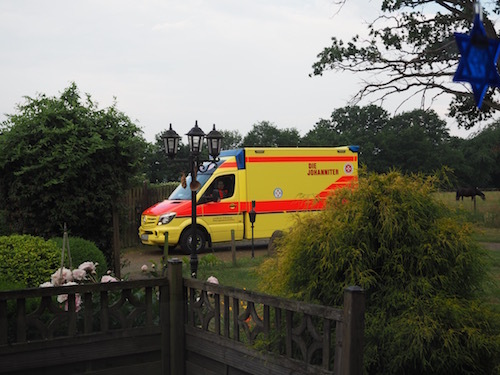 He offered to pay the vet bills (in Germany every dog ​​owner must have a liability insurance for the dog), but fortunately Motek healed without further consequences. The little one appears perfect to fulfill the purpose for which we bought it last year: fast, economical and anywhere to park, it is ideal for short city trips. To replace Skoolie we bought a veteran Wanderlodge. 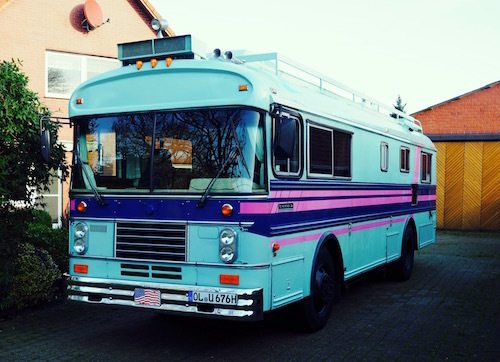 Technically similar to Skoolie (same factory), but designed and built as a motorhome to start with. The technical equipment is all-American. Of course there is always something to tinker with. For Skoolie we are still looking for a buyer! 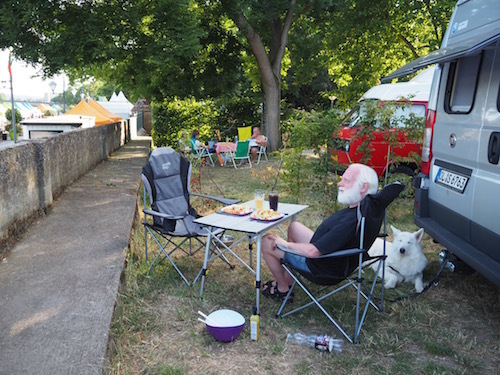 During 2015 a number of travellers, with or without motorhome, managed to find us: Albert & Ineke, Anat, Cora, Eva, Guido & Patricia, Hélène, Judith, Marcel, Sara and Abe, Peter & Christl and Simon & Els. We always enjoy having visitors. Parking and berths have never been a issue. Apart from all of the above activities we were at home to enjoy our large home, to mow the lawn and to be annoyed by molehills. Just like last year. And hopefully just like next year.